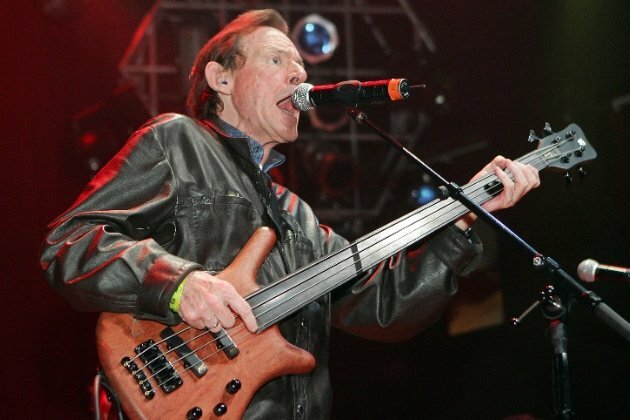 Cream bassist Jack Bruce has died aged 71, his publicist confirms. Legendary group Cream, which also included Eric Clapton and Ginger Baker, are now considered one of the most important bands in rock history. Cream sold 35 million albums in just over two years and was given the first ever platinum disc for Wheels of Fire. Jack Bruce wrote and sang most of the songs, including I Feel Free and Sunshine Of Your Love. Born in the Glasgow suburb of Bishopbriggs in 1943, Jack Bruce’s parents travelled extensively in Canada and the USA and the young Jack attended 14 different schools. He finished his formal education at Bellahouston Academy and the Royal Scottish Academy of Music, to which he won a scholarship for cello and composition. Jack Bruce left the academy and Scotland at the age of 16 and eventually found his way to London where he became a member of the influential Alexis Korner’s Blues Inc, where Charlie Watts, later to join the Rolling Stones, was the drummer. He played in a number of bands throughout the early 60s, including John Mayall’s Blues Breakers and Manfred Mann before joining Eric Clapton and Baker in Cream. Cream split in November 1968 at the height of their popularity, with Jack Bruce feeling he had strayed too far from his ideals. Jack Bruce never again reached the commercial heights he did with Cream but his reputation as one of the best bass guitarists in the business grew throughout the subsequent decades. In May 2005, Jack Bruce reunited with his former Cream bandmates for a series of concerts at London’s Royal Albert Hall. Jack Bruce’s death was announced on his official website, and confirmed by his publicist Claire Singers. A statement from Jack Bruce’s family said: “It is with great sadness that we, Jack’s family, announce the passing of our beloved Jack: husband, father and granddad and all-round legend.